BAIZE -What sound or noise do you love? My sister’s laugh. WILL – My cat flipping over her water bowl. I don’t know what she wants from us. ALEX -– I’m a bit embarrassed that the answers to my first two questions are both bugs. What is your favorite Shakespeare quote or section of text from any of his plays and why? “The sweetest honey is loathsome in his own deliciousness”. it jumped out to me as magic poetry and I’ve loved it ever since. I love the breakdown of formal poetic language in this moment as Imogen attempts to explain her longing for Posthumus…nothing flowery or embellished, but the simple repetition of the word is its own kind of poetry all the same. ALEX – Benedick and Beatrice’s church scene in Much Ado. When we were kids, my sister forced me to take a breather from Star Wars and watch Kenneth Branagh’s Much Ado. I’ve since found that play, and particularly that scene in its many versions, endlessly charming. Who is your favorite character from A Midsummer Night’s Dream and why? BAIZE – The mechanicals for their dedication and sweetness. WILL – Francis Flute. He’s so exasperated and exhausted by all of this. He wanted to play a normal part in a normal play and he’s getting the exact opposite of that. My favorite line of the play comes after Quince says that no man but Bottom could play Pyramus and Flute replies, “No, he hath simply the best wit of any handicraft man in Athens”. Bottom’s just the best actor from their office. It’s such a real thing to say and Flute just wants to go home. 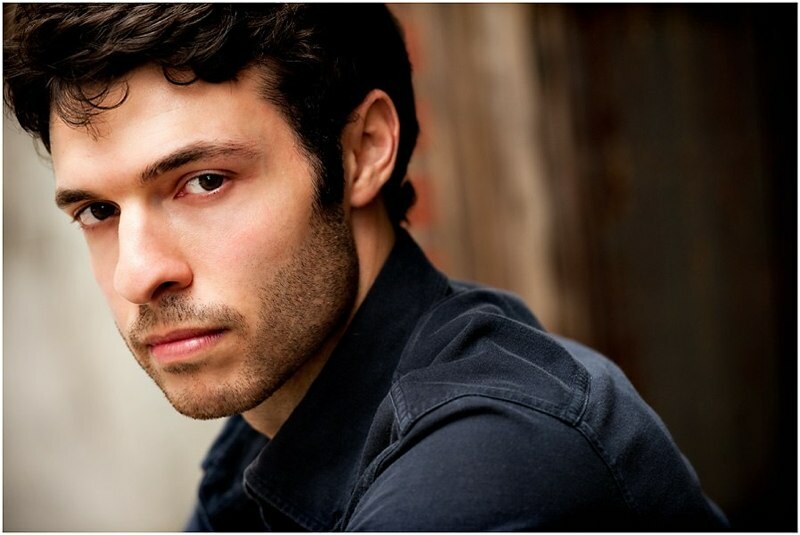 NOWANI – Puck- its such a zany character and you can always see how much fun the actor is having with the part. What are you most looking forward to about this production in particular? BAIZE – Performing outside in my home borough of Brooklyn. NOWANI – I’m excited to see how the production changes from being in the park to going indoors. ALEX – Celine Purcell’s turn as Nick Bottom will forever echo in Shakespeare Camp history. At the tender age of 8, my sister’s rendering of Pyramus’ suicide was virtually a three act play. WILL – Mark Rylance as Olivia in Twelfth Night. Have you ever worked on this play before? WILL –Yes! When I was 13 or 14, I was cast in a local professional production of Midsummer as Philostrate. I would come in with Theseus in the first scene, hang out backstage listening to the play, I had my scene with Theseus and then I would watch the Pyramus and Thisbe performance from the wings. It was amazing. NOWANI – I have! I played Hippolyta, mostly I sat in a wedding dress while my ankles got attacked by mosquitoes. I look excellent in white and react poorly to mosquitoes, so it’s what I remember most. BAIZE – I’ve worked on this play twice before….and both times I’ve played Helena! With less than a week left until performances of The Frankenstein Project, we took a few minutes of our artists’ time to ask them about their creative process! Today we hear from Noel MacDuffie, a director and choreographer whose piece “Monster and Maker” will feature performers Courtney Salvage and Alexandra Slater in an exploration of text and movement. Smith Street Stage: What section of the Frankenstein story are you using as your jumping off point? Do you have a favorite line or image from that section that started inspiring your work? Noel MacDuffie: I am very interested in the monster’s story of how he tried many times to show the world his good intentions but is brutally rejected based on how he looks. Mary Shelly was inspired by her father’s idea that humans teach each other to be good. But her life leading up to writing Frankenstein had been hard, and she postulated that we humans also teach each other to be bad. This idea is illustrated in the monster’s experience. As I had never read the book before, I was struck by how articulate the monster was and the poignancy of his story. I realized I had to explore this. I am actually starting with the scene when Frankenstein and his monster first speak and then progressing into the monster’s story. One somewhat unlikely image stood to me from this scene. Frankenstein notes that his creation moves with incredible ease and possesses great strength. How unlike the movie versions of a awkward, clumping monster. I explore that ease and that strength in my section. SSS: How did you approach the task of “reimagining” or “adapting” a classic story like Frankenstein? NM: I started with the actual text – because while the language is heightened it is quite beautiful. I am not a writer, but I am a good editor, and I worked hard to get down to essential material. Once that was accomplished, I wanted to be sure that the text was really heard. I felt that tilting the playing field was essential to help people experience the work without comparing it to what they already know (the films). So I messed with casting, I delved deep into movement, and I presented some material more then once. The goal was always to allow this lesser known part of the story to be experienced. NM: I am driven to understand and explore human relationships. I want to know why and how we try to become better people, and why and how the definition of better can be so different for each of us. I am interested in the balance between heart and head, emotion and intellect. I want theater to make me feel something, but also I want it to make me think. Noel MacDuffie is a director and choreographer. He has choreographed and directed 3 full-length theatrical dance works (The Snow Queen – with aerialist Angela Jones, Soul Descending, and 3 am, 89°, no wind) as well as over 30 shorter works. He danced professionally with the Carolyn Dorfman Dance Company and Nancy Hauser Dance Company among others. Get your tickets to The Frankenstein Project here to see Noel’s work! With only a week left until performances of The Frankenstein Project, we took a few minutes of our artists’ time to ask them about their creative process! Today we hear from Joby Earle and Charise Castro Smith about their piece “The Girl Waiting for the Train” and how their piece was inspired by Chapters XIII—XV in the novel Frankenstein, several scenes in which the monster learns language and attempts to make contact with fellow humans, only to be rejected because of his monstrous appearance. Enjoy reading about the thoughtful and very modern re-interpretation written and directed by Joby and performed by Charise, and don’t forget to get tickets to The Frankenstein Project by clicking here! Smith Street Stage: What section of the Frankenstein story are you using as your jumping off point? Do you have a favorite line or image from that section? We are responding to the section of the story where the creature tells the story of how he learned how to speak. We found it interesting how it seemed the creature was inherently good to begin with and learned hate, rejection, and bitterness from people. An image that has stuck with us is the moment when the blind man’s family comes back in during the creature’s conversation with him and, after taking one look at him, scream and try to attack him. It’s heartbreaking. JE & CCS: I don’t think we take enough time to consider how we learn things like language, communication, bias, and difference. We grow up like sponges and it isn’t until later that we can consider where these things came from and how they were created. The creature is different. He is in a position to be able to learn the building blocks of interaction, while also having an awareness of their larger ramifications and lessons. On top of that, right after he learns them, he is rejected by his teachers. JE & CCS: In creating our piece, we focused on the situations that are happening in our world today that feel akin to themes in the book. As the book progressed, I found myself thinking about the migrant crisis our world is facing (or not facing). By many metrics, it can be said that actions our country took over the last 20 years led to the creation of this problem, and now it seems like we can’t face it, in many respects don’t even want to admit that it is happening, especially in the size and scope in which it continues. We are spurning something we had a hand in creating. So we took that idea and began to imagine a woman waiting at a train station being shipped off somewhere out of sight. JE & CCS: Creating new work forces you to look at what’s come before, what’s going on right now, and respond to it. It makes you figure out what your stance is, and then try to articulate that into what you hope to be an engaging piece of theater. 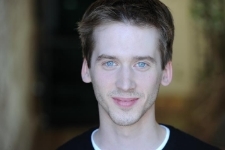 Joby Earle is an actor whose work has been seen on Broadway in War Horse, as well as in Familiar (Playwright’s Horizons), The Tempest (ART/South Coast Rep), and multiple productions at Yale Repertory Theater. He is also a member of the Artistic Board of Smith Street Stage. Charise Castro Smith is a playwright, television writer and actor. As an actress she appeared in Antony and Cleopatra (RSC/The Public Theater) and on The Good Wife (CBS). Her plays have appeared at the Goodman Theater, Soho Rep, Ars Nova, The Actor’s Theater of Louisville, and Trinity Rep among others. 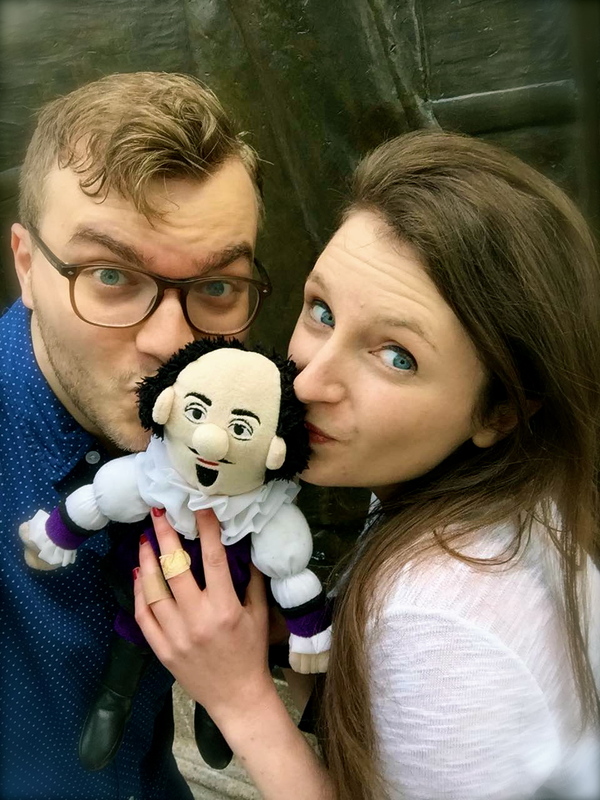 With rehearsals underway, our marketing director sat down with each of our cast members and asked them to share a little about themselves, their history, and what they love about performing Shakespeare. We are thrilled to bring their stories to you. Our final interview is with Michael Hanson, who returns to Smith Street Stage after playing the role of Orsino in Twelfth Night. This year, Michael is tackling the roles of Hotspur and Pistol for this year’s production. How did you get into theatre and into acting? In high school, I played a lot of sports. I played basketball and football and I got hurt a number of times. I kept dislocating my shoulder, and my doctor said I couldn’t play sports any more. I don’t really even remember how I sort of found theatre. I sort of stumbled into it and I just joined the school theatre. There were a lot of great people and it was fun and I never looked back. And when the time came to start looking at colleges, it wasn’t even really a choice. It was just like, yes, this is what I do now, and I just auditioned for acting schools. This isn’t your first outing with Smith Street Stage – you were in Twelfth Night in 2012. What brought you back to the company this year? I would love to work with them as many times as I can. I think they do great work, and I believe in the kind of theatre that they’re doing. And I consider them good friends as well. Any time you can work with friends that you also respect so much, it’s a wonderful experience. How do you feel about performing outdoors? Twelfth Night was my first full play ever performed outdoors. And it was like actor boot camp. You really have to fall back on your training in terms of your vocal performance. And physically, a lot of what you do in the room in rehearsal might change because of the outdoor space. We rehearse in a room in Stella Adler Studios, which are these acoustic acting studios. It’s so small, all the moments you have. As soon as you get outdoors, you have to fill the park, which has no walls. And this year of course we’re probably going to have more people than ever stretching back into the park, trying to hear. So it is a challenge, but a welcome challenge. You’ve worked on both Shakespeare and many other plays. What do you think is particularly challenging or exciting about working on Shakespeare? It’s all so well-written and it’s so much fun to get to play these characters who are speaking in this heightened language that we don’t have anymore, that we haven’t had for a long time. That to me is one of the most interesting aspects of acting Shakespeare. You’re speaking in these thirty-word sentences; today we have three-word sentences. And you have to sort of recalibrate your brain to extend the thought that you’re trying to communicate to your scene partner so that everyone else in the audience understands you. Going along a thirty-word sentence, that’s a great challenge, and it’s really beautiful. Are there any actors or directors who have been a particular influence on your work? So many! You know, when you have a great director, it stays with you, it really does. A director who can show you things and who can empower you as a young actor is a wonderful thing to have. I worked with a wonderful director in Michigan by the name of Jim Daniels and he was just very quotable. He was filled with all of these little gems that he would tell us in between our breaks. He said, “People come to the theatre and they say, ‘Show me what it means to be alive because I am dead inside.’” And he had a whole bag of those really inspirational quotes for actors, which I really believe to be true. I think that’s what art is, sort of overall, that’s what theatre is. People want to see people be alive and they want to see people grapple with issues and they want to see people think through things and that will never not be interesting. 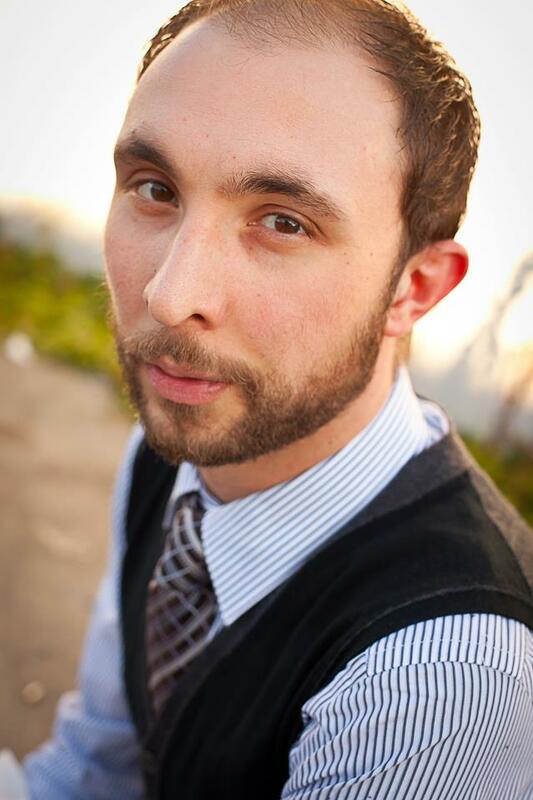 Our next interview is with Jonathan Minton, an actor and sketch comedian from Alaska who is making his Smith Street Stage debut in the roles of Worcester and Chief Justice. I really don’t know when I started getting into acting. My mom tells stories about when we moved to Alaska and I threw a big fit about how I wasn’t going to be a famous actor if I wasn’t anywhere near New York… And I was six years old at the time. My dad used to take me to Shakespeare plays when I would visit him in the summer, and my mom would enroll me in theatre classes growing up. So certainly as I got older I started to see that acting was a viable career option. And not only did you see lots of Shakespeare as a kid, but performing in Shakespeare’s plays has been a big part of your career. Yeah, that sort of happened by accident. I mean, I’m not complaining or anything. I got into A Comedy of Errors with Hudson Warehouse and then I ended up working with them for their entire summer season. And it just sort of escalated, one Shakespeare production after another. Since I’ve been here, I’ve done maybe two contemporary plays, and all the others have been Shakespeare, which is awesome, but a total accident. Do you have any favorite Shakespeare plays or roles that you’ve worked on? I got to play Oberon [in A Midsummer Night’s Dream] last spring with Shakespeare Theatre of New Jersey, which was a lot of fun. Especially Titania and I, we were on stilts for the performance, and it was an educational tour, so we were doing these stilt performances on a whole bunch of varying-degrees-of-quality stages. And it’s an awesome character. And also York in Henry VI, actually, who is just a total badass. And this is your first show with Smith Street Stage, right? It is, yeah. So how did you get connected to the company? Backstage [Magazine]. I was perusing, looking for auditions that I could submit for, and I recognized the name. I’d seen the company name all over the place and I know people who have worked with them. I mentioned this to a friend of mine and he was like, “Oh my god, it’s fantastic!” So it seemed like a good play to throw my hat in the ring for. Is there anything you find especially challenging or exciting about working on Shakespeare? I think the challenge and the excitement of it sort of go hand in hand. It’s not contemporary speech by any stretch of the imagination. I don’t want to say it’s difficult, but it is a task, getting used to the language and the rhythm. And getting used to the fact that sometimes the rhythm of the language will change from scene to scene or even from character to character. But once you latch onto that poetry and once you latch onto that same rhythm again, it’s this transportive, almost transcendent thing, when you actually do connect with the language and with the characters and the thoughts. It’s very operatic, the way he writes some of his speeches and some of his characters. Or I guess the opera is very Shakespearean in that way. There’s no façade, there’s no putting on airs, it’s all genuinely what the character is thinking and what they’re feeling. It’s the only way they know how to express what they’re thinking or feeling at the moment. It’s incredibly beautiful. You’ve also done some sketch comedy. Has that affected your Shakespearean acting in any way? It has a little bit. When you’re going into an audition like the Smith Street Stage audition, which is one of my favorite auditions I’ve ever had, there was that encouraging atmosphere to just throw yourself entirely into the piece that you’re doing and have fun with it. And when you do sketch comedy, you have no choice but to throw yourself a hundred, a hundred and ten percent into it and make yourself look like a jackass. If you don’t look like a jackass, you’re doing something wrong. And especially with a Shakespeare audition, having that willingness to just say, all right, I’m going to make this funny face when I say this, and for this reason. Acting is just one giant machine that has different parts that need to be oiled – an upgrade on one part of the software will really branch out and assist with another part of the software. Are there any actors or directors who have been an influence on your work? John Cameron Mitchell and John Lithgow. I’ve admired Lithgow’s comedic work since I was a kid (I used to be able to quote any given episode of “3rd Rock From The Sun”), and Mitchell changed my life with Hedwig and the Angry Inch, this larger than life myth of a character that he willed into existence, and has taken on its own life. And they both seem like they’d be a lot of fun to just sit and talk with. And I had a high school acting and drama teacher, Susan Wingrove – she had the patience of a saint, teaching acting for a high school. She was pretty inspiring. With rehearsals underway, our marketing director sat down with each of our cast members and asked them to share a little about themselves, their history, and what they love about performing Shakespeare. We are thrilled to bring their stories to you. Today’s interview is with Executive Director Jonathan Hopkins, who is playing his dream role of Falstaff in Henry IV. —– How did you first get involved with theatre and acting? In high school, acting seemed like something that would be fun and that I would like doing, and so I did it and I really loved doing it. And I kept doing it in college and since college. So I guess it’s just something that started out as an extra-curricular activity that I really enjoyed and decided to stay with. Can you tell me a little more about how that turned into you and Beth Ann founding Smith Street Stage? We founded Smith Street Stage because we developed a small cast Romeo and Juliet for a theatre company we were working for in New Jersey. That theatre company was going to produce the play, which we had developed and worked on and presented a workshop for, but they had to cancel the show because of budget issues. Beth Ann particularly felt like she wasn’t through with the project, that she wanted more people to see it and wanted to work on it more. She said that she wanted to start a theatre company and start doing Shakespeare in Carroll Park and so our first production in 2010 was Romeo and Juliet with five actors. And the community was really responsive to it. We had good audiences, and they were very generous with donations after the show, which gave us a sense that maybe this was something with some staying power and something we should keep going with. And so we’ve done a show each summer since then, and we’ve grown every summer since then. And you’ve expanded beyond the summer Shakespeare productions as well – your last show was in Manhattan, right? Yeah, we did another show that Beth Ann developed. A radio play adaptation of A Christmas Carol. And we had done that the previous two years in the park house in Carroll Park, and last year the Pearl Theatre Company invited us to do a week with them. And so we did a week at the Pearl Theatre in late December, which was our first real Manhattan show, and our first Off-Broadway show. You’ve mostly worked on Shakespearean plays. Has that always been your primary interest? Since college, definitely. I took to it very much in college, performing scenes from the plays, working on the plays, and reading the plays. I really fell in love with Shakespeare. I went to London for a semester when I was in undergrad and trained at the Royal Academy of Dramatic Art and saw a lot of Shakespeare there and just sort of immersed myself in it. I just always come back to it. It’s always the best stuff to read and the best stuff to see and the best stuff to act. Are there any particular Shakespearean plays you enjoyed working on, or favorite characters that you’ve played? I played Malvolio three years ago when we did Twelfth Night. That was a really fun thing to do. And the first year [doing Romeo and Juliet] we only had five actors, so I was Romeo and Lady Capulet, which was a great split, two very different things. And other than the high tragedies, Henry IV is my favorite Shakespeare play, and Falstaff is my favorite character. So I just feel really lucky that I get a chance to work on him because of Joby’s idea that actors would be cast against type. How do feel about the fact that you’re going to be playing against type? How are you planning to prepare for this? I guess I prepare as I would for any other part, which is try to start thinking about how the character is similar to me and how the character is different from me. And even though there is a physical difference and a difference in age, I hope to be able to find some similarities in looking at the part, just thinking about the kind of person that Falstaff is. Just like you would any other part: what does this person want, why does this person say the things they say, how does this person change within each scene and from scene to scene? And I’m just going to trust Joby as well as Maddie and Patrick [our assistant directors] a lot to have an outside eye and to guide us to make sure that what we’re doing looks ok, that the story is being transmitted to audiences who may not be familiar with Henry IV. So I guess I’ll just work really hard and trust my fellow actors and trust my directors. You’ve worked with Joby before, as actors, right? Yes. Joby was our Brutus, and I directed him in Julius Caesar two years ago. And in that five-actor Romeo and Juliet, Beth Ann and I were actors, and Joby was an actor as well. I’ve known Joby since we were both in college; I’ve known him since we were eighteen. So I’ve known Joby for fifteen years now and we’ve acted in stuff all through that time period. There is a lot of trust there, and I think the same things that I love about the Henry IV plays are the things that Joby loves about these plays. I have a lot of trust in him, not just to help me as an actor and help me give my best performance, but to show audiences what’s really, really special about these plays. And what is that? There’s no genre, because they’re histories, so it’s just a story. It’s not tragedy and it’s not comedy, although I think it’s funnier than most of the comedies and I think it’s immensely sad, incredibly sad, this story. So that’s one thing, that it lives outside the realm of what most people know Shakespeare to have written. Another thing is, I think it’s a great story about time and how time forces people to make difficult decisions and how time forces people to grow up and how time brings us into meetings and partings with one another. Which I think is immensely relatable, because everyone has been faced with inevitable change and inevitable loss. And there’s something about the Henry IV plays, especially Part Two, that has a sweet and sad quality. It’s like a song that’s written in a minor key. Imagine going to a place that you went to in your childhood, and it would make you feel wonder and it would make you feel a little bit of sadness and it would make your breath catch and it would make you think about how your life has changed since that time and the life you’ve lead and the person you were, all in a breath, all in an instant. And that to me is what Henry IV, Part Two is like. It’s like a dream of that childhood place. And it’s something that I don’t find exactly in any other Shakespeare play. Are there any actors or directors who have been a particular influence on you? I think there are lots. But I remember in college, going to the NYU library and watching Chimes at Midnight, which was Orson Welles’ adaptation of the two Henry IV plays that centers on Falstaff, and just being very, very moved by that. And still that movie is my favorite Shakespeare movie. Orson Welles directed it, too, as well as acting the part of Falstaff. The way he told the story, and the element of the story that he captured in his movie, I was really struck by. And it was something that I watched during a really impressionable time, because I was in college and acting a lot and reading Shakespeare a lot and so it was a good time to see a great actor, a great artist have a take on a great story. Our next interview is with Jane May, who hails from Spokane, WA and recently received her Masters Degree from the London Academy of Music and Dramatic Art. She is making her Smith Street Stage debut in the roles of King Henry IV and Hostess Quickly. How did you get into theatre and acting? I’ve been an actor since I was eight years old. I got my degree at Santa Clara University in theatre and dance. I’ve just been doing it forever. I tried a couple times to not do it, but I just kept coming back to it. I love it; it’s just a part of who I am as a person. I was in Seattle after I graduated and I did a lot of professional theatre there and got my chops a little bit, and got used to doing theatre more and more professionally. And at a certain point I just decided that the place to really be is New York. So I ended up here about four years ago. And how did you get involved with Smith Street Stage? This is your first show with the group, right? It is. I know Joby, the director, through my husband. They did a cool Three Sisters together. I met Joby and his wife through that, and I had heard about Smith Street Stage, although I’d never seen anything by them. So I decided I’d put my name in the hat. In this production, you’re playing two characters of different genders. How are you planning to approach that? And what do you think of the decision to do gender-blind casting? I think it’s great. I love it. I actually received my Master’s Degree in classical acting in 2014 from LAMDA, the London Academy of Music and Dramatic Arts. My thesis was that I worked with two other women, specifically about this stuff, about gender-neutral casting. The three of us came to it from three different places, but we were all playing the same character – Flamineo in John Webster’s The White Devil. One woman really wanted to focus on trying to become very man-like, and wanted her character to be believably male, and what that entailed. The other woman wanted to approach it as if Flamineo was turned into a woman, so the character was actually a woman. And I approached it as, ok, what happens if I take gender out of the equation and I just play a character. Is that even possible? Can you play a character without all of the things pertaining to gender? So the fact that I’m now doing this is wonderful because I’m getting to apply a lot of what I learned in my thesis directly to serious text work. It’s right up my alley. You picked a classical acting program for your Master’s. Are you particularly drawn to classical theatre, and Shakespeare in particular? And are there any particular things that are exciting or challenging about performing Shakespeare? I love Shakespeare. I’m very drawn to him; I always have been. I love classical theatre. Shakespeare just wrote humans so well, thorough, complex human beings in such a beautiful way. There’s a reason – I don’t know what it is – but there’s a reason that he’s a four-hundred-year-old playwright that’s still being produced massively, everywhere. I specifically wanted to train for classical theatre, that is definitely what I wanted to do. It’s interesting – I wanted to train that way because I didn’t foresee myself doing too much of it in the future, in a weird way, because I wanted to focus on other aspects of being an actor and I thought, I’m going to give myself the gift of going to school for a year and just doing this. But since I’ve been back, I’ve already been cast in two classical productions so maybe that’s actually what I’m going to be doing, which is fantastic, because I think it’s wonderful and I really take to it. I love that you can study Shakespeare, and you can do tablework and perform it and you can still never know everything there is to know. Are there any actors or directors who have been a particular influence on you? Everyone I’ve ever met who’s an artist has had an influence on me. I’m constantly inspired. There’s a lot of bad theatre, but there’s a lot of really good theatre, and it’s always inspiring to want to keep making it. There’s lots of people I’d like to work with and lots of people I have worked with that I’ve admired. I’m really looking forward to working with Joby, frankly, I think he’s really smart. Just the little bit of time I spent in the rehearsal room during callbacks, I was really excited and really jazzed and inspired. The people who have influenced my acting the most recently have certainly been my tutors at LAMDA, and my classmates as well were really brave and inspiring. I think that there are a million wonderful theatre makers in New York City and around the world. Next in our series is Hannah Sloat, who is taking on the role of Prince Hal in her Smith Street Stage debut. Hannah is a classical actress from Durham, NH and an original cast member of Broadway’s War Horse. Can you tell me about how you got into theatre and acting? There’s a story that my mother tells, from when I was five. I was at an outdoor theatre performance of Peter and the Wolf and I was looking up at the stage and I said, “I want to be there; I want to do that.” I was somewhat performative as a kid – I guess many of us are – but I was an only child, and I did a lot of imagination play by myself and I really enjoyed that. I ended up doing the school plays in the third and fourth grade and I joined this children’s theatre group when I was in the sixth grade, and then I really didn’t look back. I was in that group through the end of high school and I did a lot of plays with them. I had brief instances where I thought I might be a teacher or a gymnast, but neither of those happened. This is your first show with Smith Street Stage, right? It is, yeah. I had the good fortune of seeing Much Ado About Nothing last year. I had a couple of friends in the show, and I loved the show, I loved the atmosphere, I loved the mix of people who come with their blankets and have clearly planned to be there and have ordered a pizza or brought a picnic, and that combined with people that stop by and are just sucked into the world of the show for maybe fifteen minutes or maybe they stay for the whole thing. I loved that combination. What sort of experience do you have doing Shakespeare? A lot of what I’ve done in the city has been Shakespeare with small, independent companies. It’s been a while since I’ve done one – my last one was before I did War Horse, which was in 2010. So it’s been several years since I’ve done one. So what are you doing to get back into doing Shakespeare, and the role of Prince Hal in particular? I actually just started getting help from my boyfriend. He’s helping me to work out, lifting weights, which is not something that I often do. It’s sort of a twofold, cardio and weightlifting for the lungs and the overall capacity to be in such a big space and be open and free and have the core and the base to do that. I’m really excited to be fighting in this show. It’s been a while since I’ve been fighting with swords regularly and so I want to have the muscles to do it and be not nervous, but excited about doing it night after night. And of course you’ve been cast as a man for this production. Are you doing anything special to prepare for that? I talked with Joby somewhat recently about where we both were at in terms of our thinking about the role and the show. For me – and I think we’re on the same page here – the idea of Prince Hal as this human being, and one of his characteristics is that he’s a man. There are many things that I connect with Hal about, besides the gender part, like the idea of wanting something and really not wanting it at the same time. He has these big questions about what it means to have something like the kingship given to you but also needing to earn it, and earn the respect to be the king and have people want to follow you. Especially at this time, with his father having risen up and taken the crown, his footing isn’t that sure. In some ways it seems like it’s inevitable and at the same time a lot of what the plays are about is the rockiness and unevenness of it. And so I feel like, in a certain way the gender doesn’t scare me too much. I also think that it’s about relationship. And so I have to be with Falstaff as man to man, and what that relationship means – as long as it’s clear and it doesn’t feel like Falstaff hanging out with one of the bar wenches, which would be so different obviously. For me, it has more to do with understanding the relationship, and gender obviously plays a big part in the way that different people behave toward one another. Coming at it from that angle makes it the most concrete without making it about having to put on a whole bunch of false physicality. I’m not so worried about that right now, I think that those things will hopefully be able to come through the exploration of these relationships. Joby and I were talking about influences on the characters and maybe taking a look at other films and other people playing this role. And he said, “Don’t do it if it’s going to mess you up,” but I had this experience in the children’s theatre company where at each show you would have a different person playing the lead role because there were so many kids. My director didn’t want twenty-five kids to sit around while four of them got to do the fun stuff. So when we did The Wizard of Oz, there were four Dorothys, there were four Wicked Witches, there were four Good Witches and so you didn’t get to rehearse the scenes all the time. You spent seventy-five percent of the time watching other people do it, which was really an amazing way to learn, because you’re able to do that thing that actors talk about a lot – we beg, borrow, and steal from wherever we can. And it gave me such a sense of how much perspective and how much talent there is, even in little Durham, New Hampshire there is so much that you can see. “It’s about time for gender-blind casting.” – An interview with cast member and Artistic Director Beth Ann Hopkins. Our next interview is with Artistic Director Beth Ann Hopkins, who will be playing the roles of Bardolph, Douglas, and Warwick. Can you tell me about how you got involved in theatre and acting? It’s kind of a funny story. My parents are both teachers and part-time magicians, so when I was a little kid they’d put me in their shows. When I got a little older, a little bigger, I was too old to do that kind of thing, so I started to seek out theatre on my own. I always loved singing and being on stage. And then when I graduated high school, I just knew it was what I wanted to pursue. So I went to the University of Connecticut to study there, and came right to New York after that. You’ve done lots of Shakespeare, but a lot of other plays as well. What is particularly challenging or exciting about working on a Shakespeare play? It’s poetry; it’s not just two people having a discussion. There’s so much to each conversation. There’s never been a Shakespearean play or a part where I’ve just been like, nah, I guess I’m done with that, I’ve nailed that, now on to the next thing. There’s always more that you can learn about these characters. You’re one of the founders of Smith Street Stage. Can you tell us about how the company came together? We started with a four-person production of Romeo and Juliet that we had done out in New Jersey. 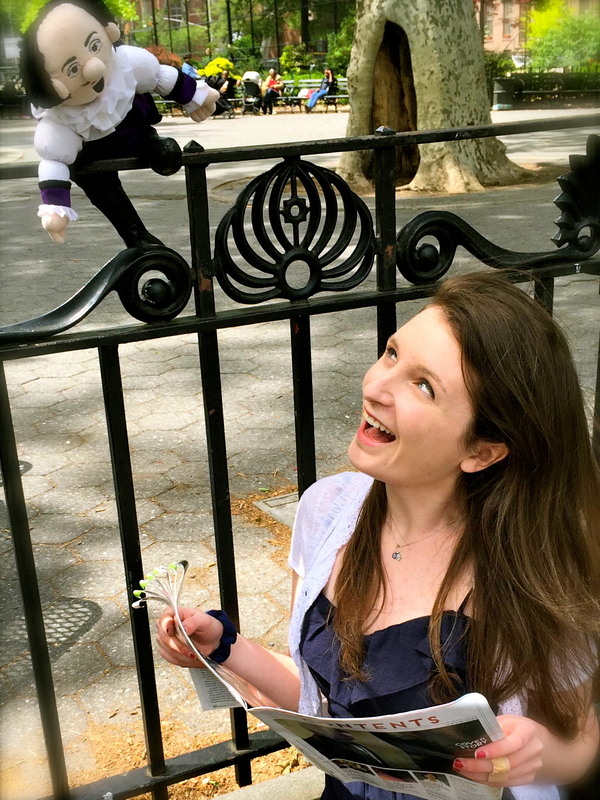 At the time, I had just moved into an apartment in Carroll Gardens and really fell in love with the neighborhood. I wasn’t done with Romeo and Juliet and I really wanted a place to do it, and I just felt so grateful to this new neighborhood that had just welcomed me with open arms that I wanted to give something back to the community. I wasn’t really sure if we were going to stay; I wasn’t sure if we had the right place or if they were even going to want us. But it was just kind of a little gift, a little thank you for welcoming me to the community. And they did, people came. It was fantastic. It’s funny, we started the company with the idea that it was going to be one show and then we’d see if we wanted to do more. But then Jonathan and I never had to question if we wanted to do one more or not – we just started planning for the next year. We never had the “should we not or should we” conversation; it was obvious that we should. It felt like the right time and the right place. And one of the things the company is doing this year is the gender-blind casting. I love it. I’m so excited. I was just like, it’s about time, I’ve been wanting to do this for a while now. We’ve kind of played around with it here and there in other productions. Even in our first production I played a man and Jonathan played a woman, so there was that kind of back-and-forth. Don’t get me wrong, I love playing Shakespeare, he will always be one of my favorites, but man, he wrote a lot of guy parts. And it’s really frustrating to have all these amazing women come in that I can’t use. I want people to come in with an open mind that there is a possibility that women can play these parts just as well. Look at what Sarah [Dacey Charles] did with Julius Caesar [at Smith Street Stage in 2013]. We were taking a big risk, and now I can’t imagine it any other way. And this year both the king and the king’s son will be played by women. I’d say that’s a really exciting idea that will open other people’s minds to the fact that, why don’t more people cast their shows like this. As one of the actors who has been cast as the opposite gender, do you feel like there’s anything special you need to do to prepare for this particular role? I’ve done this a couple times before, but never anything like this play. It’s always a challenge, it’s always something completely new, but that’s part of what’s exciting about it. It’s not like I can go back and refer to all the women who have played Bardolph and Douglas before. I get to make it my own. It turns me on, and it scares me too, in a good way. But Joby I think is going to be a great leader with that. Even though you don’t have previous female Bardolphs or Douglases to refer to, are there other actors or directors who have particularly influenced you? I just saw a production of The Iceman Cometh and it just kind of, Brian Dennehy and Nathan Lane and that whole entire cast just reawakened my joy for theatre in such a great way. I love when that happens. And Mark Rylance is definitely an influence. I’ve seen him a couple of times on stage, including Jerusalem a few years back. He was just so brave, and so ready to fail. And I think that’s something I want to do. I want to be ready to fail, because if you’re not ready to fail, then I don’t think you’re going to be able to really explore deep enough to come up with something that fresh and new. Otherwise, for me, it’s just going to feel like I’m copying someone else’s work. But this comes from me, and that’s what’s going to make it original and beautiful. Shakespeare? I Bardly Recognized You! The man may have written these plays hundreds of years ago but somehow he still manages to pop up in our lives everywhere, and sometimes in ways that are not as obvious as a nose on a man’s face. From stolen plot lines, to characters, to themes, to quotes Shakespeare’s plays constantly influence our favorite cultural staples without us even realizing it. But, truth will out! I won’t leave you with bated breath, so without much ado here are my favorite films that referenced Henry IV without me realizing it! In true Monty Python form, in their ultimate edition they have an option where you can watch the film “With Subtitles for people who don’t like the film”. Instead of actual lines from the movie being written, the subtitles are exclusively text from Henry IV Part 2.Though this be madness, yet there is method in’t. The Shakespeare quotes chosen may appear random, but they are chosen specifically to try to tell the story. Helen Mirren playing Queen Elizabeth II quoting Henry IV? This is such stuff as dreams are made on! In Martin Scorsese’s film, he has Jack Nicholson’s character actually misquote the line, but that’s neither here nor there because the meaning and sentiment behind it are the same. Even though the character did not know it, Shakespeare influenced his life! This film is a modern reconstruction of Shakespeare’s Henry IV and Henry V plays. And, for goodness sake, it’s starring Keanu Reaves and River Phoenix! Now, as good luck would have it, I have two more little treats for you. Neither one fell under the category of “surprising reference to Shakespeare” but they are both delightful and Henry IV themed and in my heart of hearts I couldn’t resist. This movie was completely based off of Henry IV and it’s quite a treat. It is such a well-made film that very few people have seen. But, I won’t go on a rant about it, just check it out. Fun Fact: when Orson Welles played Falstaff, he had to go on a diet to play the notoriously portly man! In an episode of Tina Fey’s brilliant show, it was revealed that Tracy Jordan once played Prince Hal in Shakespeare in the Park. Based on this little clip we see of him, it was pretty unsuccessful. This clip will leave youin stitches! Now I’ve shared my favorites, what are yours? This list certainly isn’t the be all and the end all! Let us know! And remember; to thine own self be true!